Digital security has become a hot topic in our lives. Major attacks like “wanna cry” ransomware, Target security breach, and rampant identity theft forces us to realize just how vulnerable we are. Here are 5 useful tips that will help you to shore up your security practices. Not all attacks are sophisticated, like stealing a sticky note with a password written on it (thanks Silicon Valley) or looking over someone’s shoulder as they access an account. So being aware of non-digital measures are important. Be aware of your surroundings, where/how you store passwords and, who you give access to your device. Admittedly this first one is not really a single “tip” as it is a lifestyle, but failing to do this can render all other measures useless. After all, no security measure will block your own password and username. Hide your home network. First off your network should be hidden and password protected. Also, separate it into different camps. Creating divisions within your home network can allow you to control users and vulnerabilities. An example of this would be to create a “work” network, a “friends and kids” network, and a “devices” network. Doing this will keep visitors and less internet savvy users from creating vulnerabilities for your work network and data. This is an instance where recycling is a terrible idea. Most of us are guilty of using the same password for many of our accounts and devices. A password manager can help with the logistics of never using the same or similar passwords. Utilizing multifactor authentication for sites and applications can also enhance managing your password. This requires you to not only have the correct password but also the mobile device associated with the account. Our email accounts are precious even if we don’t always treat them as such. They provide direct access to us from the digital world rather than seeking out content. As a result, we sometimes fall into a sense of security and trust while in our inbox. Creating dedicated email accounts for highly sensitive correspondence can help us know exactly who we are talking to. Creating an account solely for banking or insurance can help you identify false or misleading emails claiming to be from these institutions. Lastly, it is important to know and recognize the strengths and limits of any software that you are using. If it has known security risks or security features that you could be utilized but are not. Let’s look at some in two common applications you may have. Microsoft word has some built-in security features to identify and protect sensitive information that may be entered into a document. One is the identification that a credit card number has been entered into a document. Word will notify the user that it suspects that credit card data has been input when they try to save. If the user accepts and continues to save Word marks the document as sensitive and can apply a watermark to the document so that it is not shared or printed unknowingly. 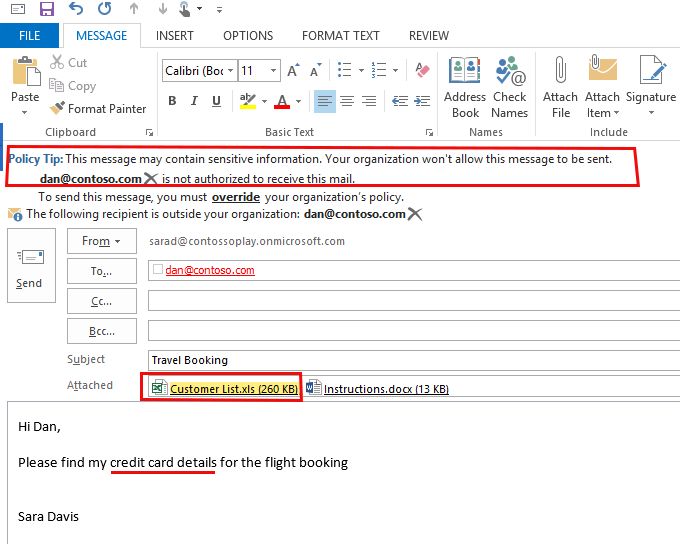 This sensitivity tag can have other features among programs like Outlook. Outlook has some great security safety nets for organizations. For instance, Outlook will notify users when they are messaging or sharing documents/attachments with recipients outside of the organization. In fact, Outlook can even catch users that ignore these warnings if they are trying to send documents that are marked as sensitive and will stop these messages from being sent unless overwritten by administrators. Overall much of data protection rests in our common sense and diligence in defending it. Through strong passwords, practices, and programs we arm ourselves with tools to stay safe. Hopefully, this quick list gives you some ideas to add to your arsenal. To find more information on any software mentioned in this post visit mychoicesoftware.com and be sure to check out other posts here.